Why choose an Aaronmesh fence? 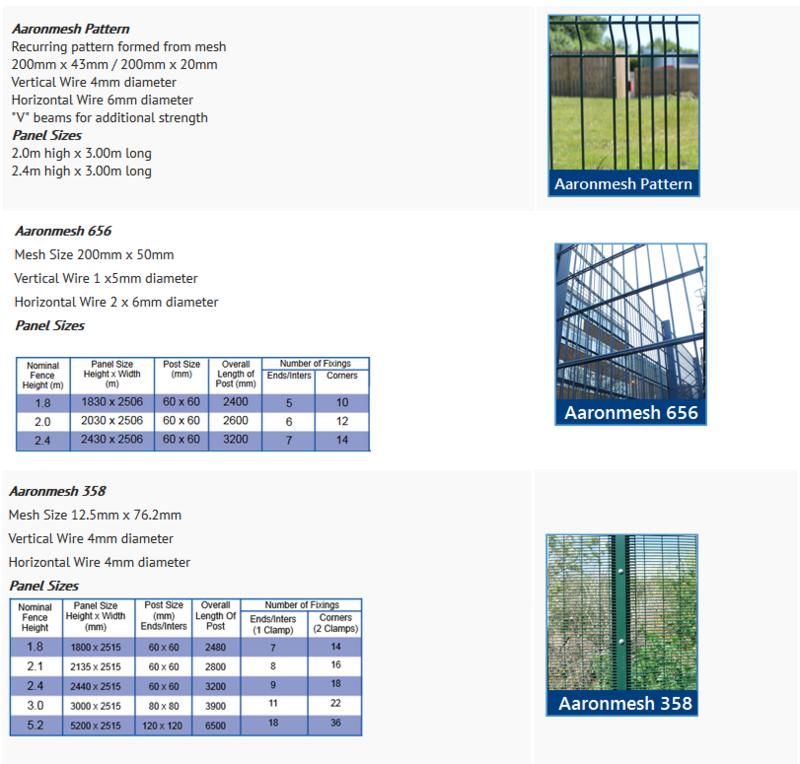 Available in a various specifications, our Aaronmesh fencing range will provide security where you need it most. AaronMesh fencing is a cost effective solution to security mesh. We offer 3M, 656, 868, 358 and a pattern mesh, all without the expensive branding. The specifications and high quality of each mesh are as you would expect from a standard security mesh ensuring your perimeter is safe, secure and aesthetically pleasing. 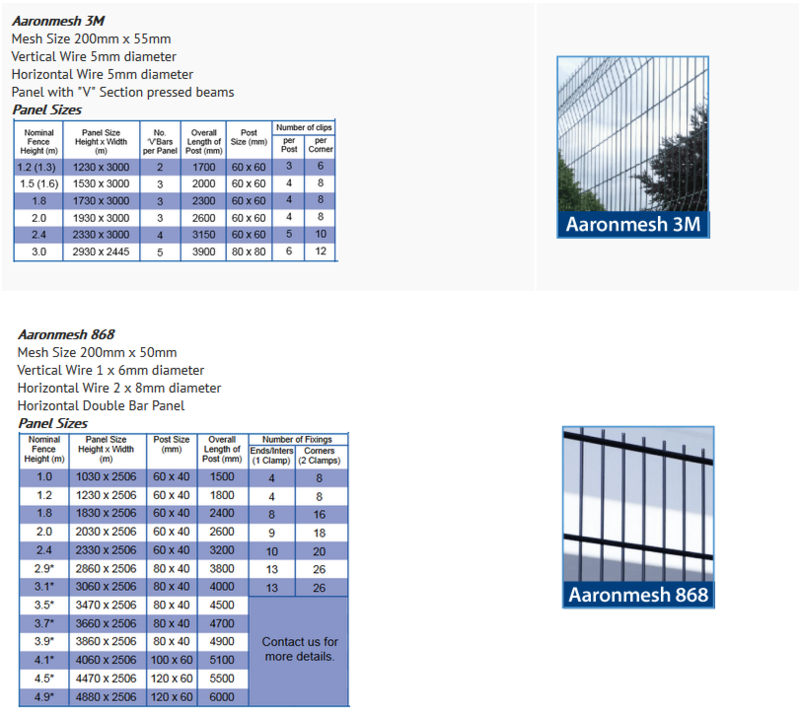 There are a number of components that make up an Aaronmesh fence with some different options to choose from. Aaronmesh is available in many heights up to 5200mm.